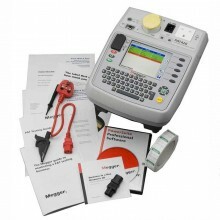 Includes: Megger PAT120 Portable Appliance Tester, 4mm plug lead probe & croc clip, Extension lead adaptor & carry case. 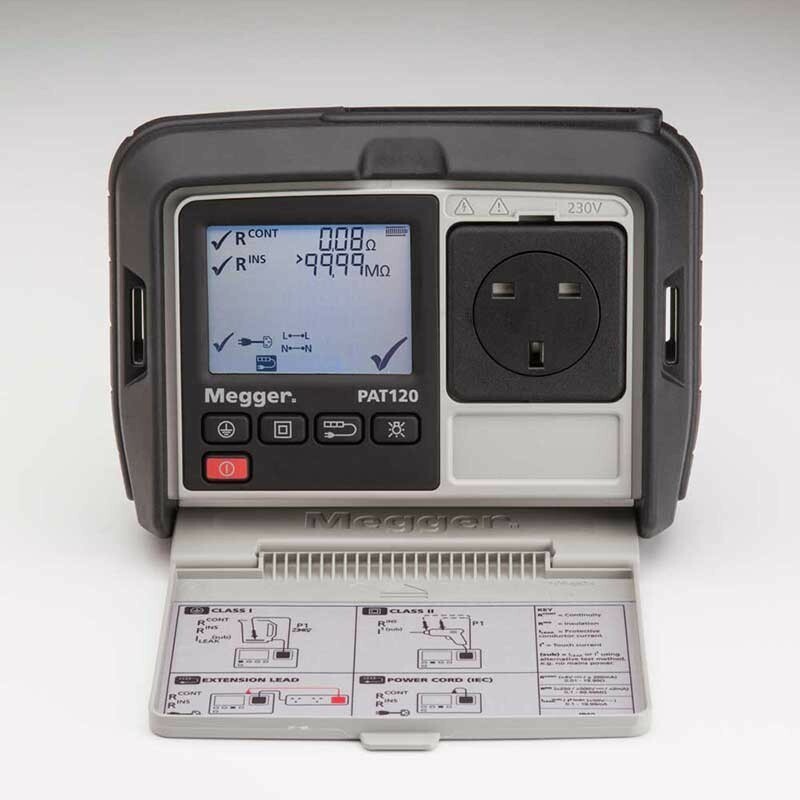 The Megger PAT120 pat tester is the toughest, simplest and most economical PAT tester available that gives results that conform to the 4th Edition of the Code of Practice for In-service Inspection and Testing of Electrical Equipment. 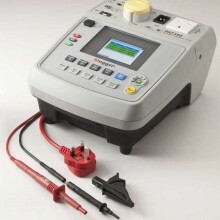 Encased in rugged rubber armour and fitted with toughened “Gorilla” glass, the Megger PAT120 is incredibly durable and its battery powered operation makes it ideal for those locations where an electrical supply isn’t available or where a mains powered PAT tester would prove impractical. 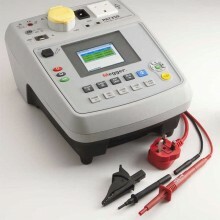 The PAT120 operates from AA Alkaline or NiMH cells. Battery life is typically four days, based on one hundred and twenty assets per day. 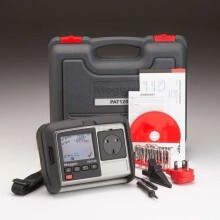 Users requiring enhanced specifications including earth leakage testing, touch current and portable RCD testing should view the Megger PAT150. 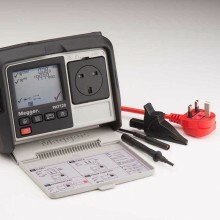 The PAT120 model has test groups available for Class I, Class II and Extension/Power leads. 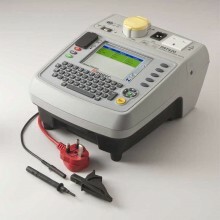 Insulation testing at 500 V (default) or 250 V can be selected at the start of the test. Leakage testing uses a “Substitute Leakage” also known as the “Alternative” method to remove the need for a mains supply during test. 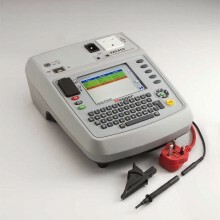 Simple tick or cross, pass or fail indication plus measurement. Battery powered with rechargeable options. 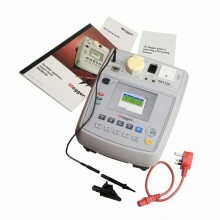 Includes 250 V insulation and leakage testing. 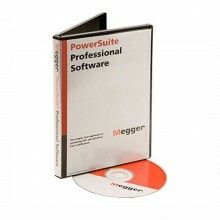 for safe IT testing and surge protected devices. 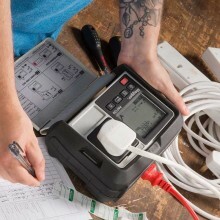 Testing portable and fixed electrical equipment. Tough, rubber armoured with built-in front cover, hardened, scratch proof display window. 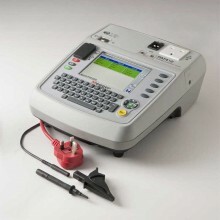 Compliance Voltage: +4V dc –0% /+10 % (open circuit). Bi-directional +200 mA -0% + 50 mA (into 2 Ω load). Continuity accuracy resistance ± 5% ± 3 digits (0 to 19.99 Ω). Display range 0.01 to 19.99 Ω. User selectable from 2 sec to 20 sec or selected during test to 180sec. ≥ 500 V –0% dc across 0.5 MΩ load. 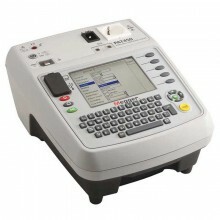 Accuracy ±3% ±10 digits (0 to 19.99 MΩ). 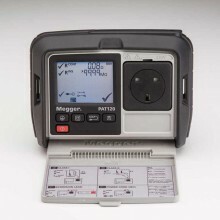 Display range 0.10 MΩ to 99.99 MΩ. Test duration User selectable from 2 sec to 20 sec or selected during test to 180 sec. 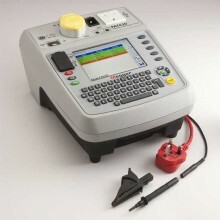 Leakage current Accuracy ± 5% ± 3 digits. Test frequency Nominal mains frequency 50Hz. 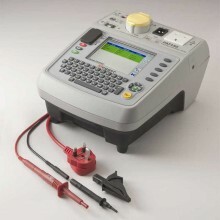 Test voltage < 50V ac. Leakage Current Resolution 0.01 mA. Display range 0.10 to 19.99 mA. Test duration User selectable from 2 sec to 5 seconds. 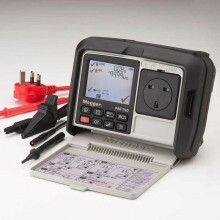 Reading corrected to 230V ac. IP rating IP40 (with front cover closed). Dimentions 203 mm (L) x 148 mm (W) x 78 mm (H). 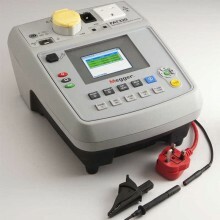 Megger PAT120 warranty One year. PDF Specifications of the Megger PAT120 & Megger PAT150 Handheld PAT Tester.